It’s been almost a month since I last wrote a blog post keeping everyone up to date on what I’ve been doing. The truth is, I’ve been doing a lot. I finished writing Charity for Nothing, have had it up for preorder for a while, and in the time since my last post, I put it through beta reads as well as completed all of the edits on it. It’s gone through formatting, and when it goes live should be a pretty spectacular finale to the Virtues trilogy. After that, and some of it while that was happening, I wrote a complete first draft of Brother to Brother, the first book in the Sacred Brotherhood series which sees us return up north to The Sacred Hearts MC. It too has gone through beta reads and is now in the capable hands of my first round editor/proofreader. I was overjoyed at the positive reception that Brother to Brother has had with the beta readers and I am already hard at work and about a quarter of the way in to Her Brother’s Keeper, the second Sacred Brotherhood book and just as excited about it as I was the first one. The deadline for submissions to Biker Chicks 2 has sailed on by, and we have enough for a whole book, so I will be getting to work on that soon and today marks the release day for the Passion in Portland anthology of which I am a part of. 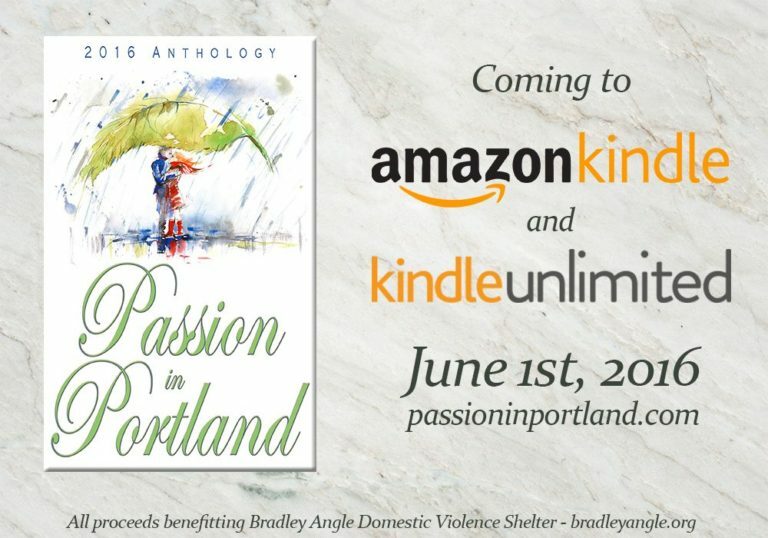 All proceeds of the Passion in Portland anthology go to benefit the Bradley Angle house a place that supports domestic abuse survivors. The story I submitted to that anthology is a precursor to Charity for Nothing and at .99 cents is an absolute steal so you might want to get on that if you haven’t already. Of course, with the sweet comes the bitter – this morning I had to say goodbye to my furry companion of over 17 years, Remy. It’s the reason I haven’t been at the Passion in Portland anthology’s release party today and while I feel bad and guilty about that, today is not the day for me to try and people. It’s the day I try to spend focused on my fuzzy little boy. I will try to get better about updating you all a little more regularly. For right now, sit tight – the cover reveal for Brother to Brother is coming soon, as is the release of Charity for Nothing.